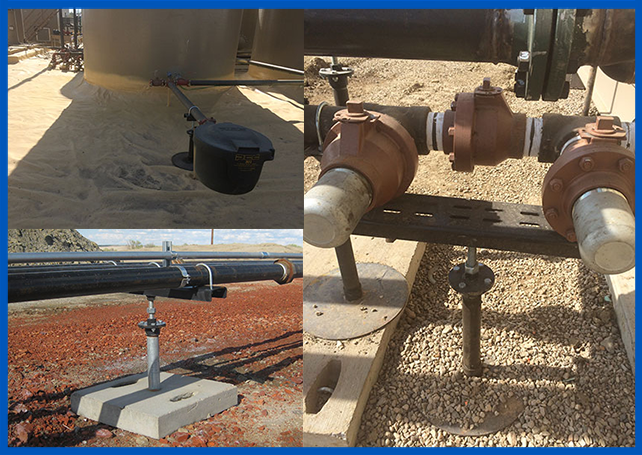 Steffes offers a variety of dependable modular stands to enhance equipment stability on your well site. 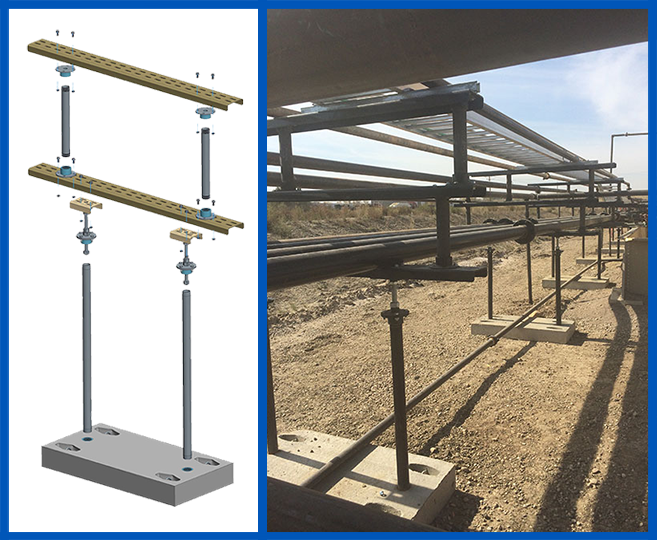 Our Modular Stands utilize a concrete pad to provide a solid base for supporting pipes, cable trays, conduit and well site equipment. They are easily adjustable to accommodate a variety of heights, widths and pipe sizes. Our Modular Stands come in four different styles, and our experienced sales team can help you determine which style best meets your needs. The Single Adjustable Thread Style allows for easy height adjustment. This stand is typically used to support at higher elevations greater than 16 inches above grade and is rated for 1,000 lbs. The Dual Adjustable Thread Style stand features two vertical support pipes for added stability. It’s ideal for supporting multiple pipes greater than 16 inches above grade, and it’s rated for 5,000 lbs. Steffes also manufactures a Dual Stand Extension Kit to provide multiple tiers of support. 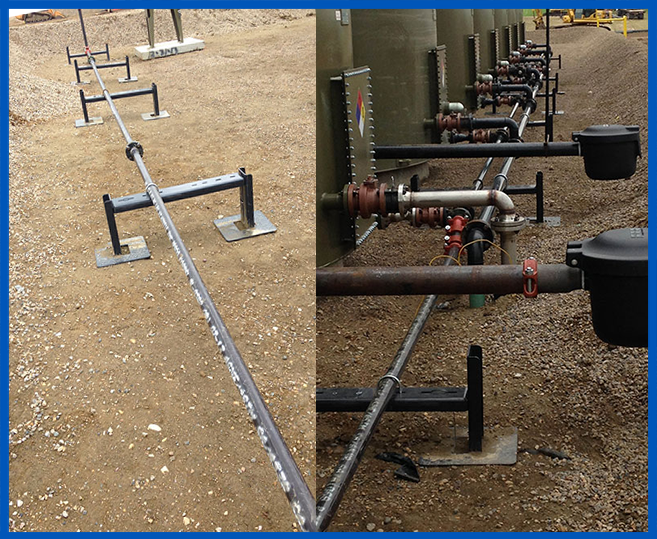 Our H-Style stands are designed to support pipes that are relatively close to grade. These stands are comprised of two uprights connected by a support and are rated for 500 lbs. 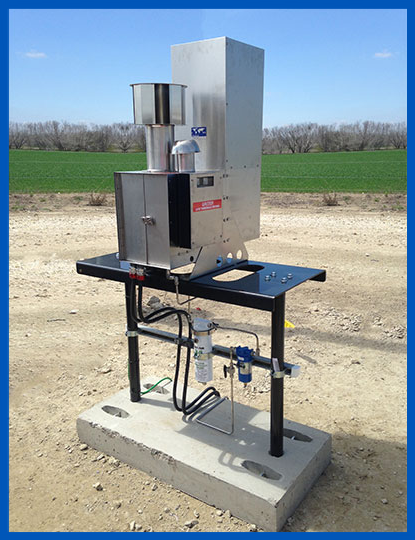 This flexible, all-purpose stand can fit a variety of oil field equipment and control boxes. Our engineers can customize its height to fit your site requirements, and its 20- x 40-inch steel plate is rated for 2,000 lbs.